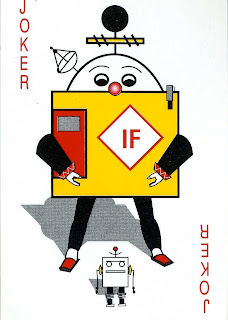 I bought a set of ZByte playing cards many years ago during a visit to a computer museum in Boston. 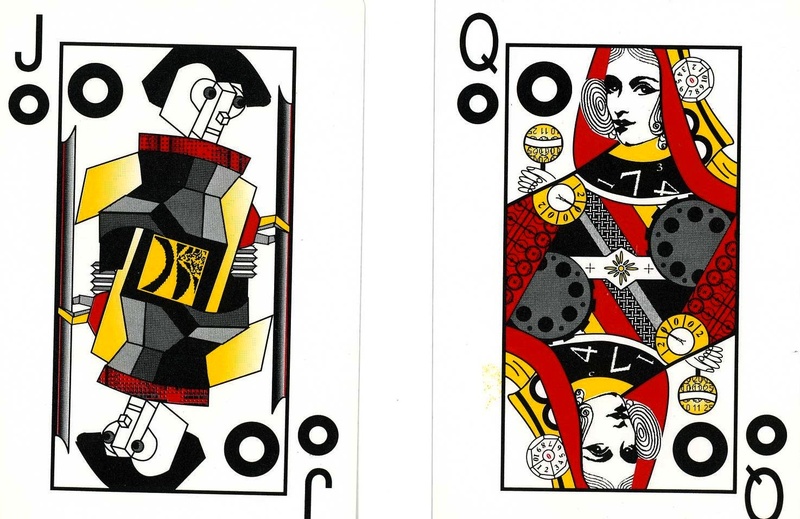 The cards were created by Hal Layer in 1983. 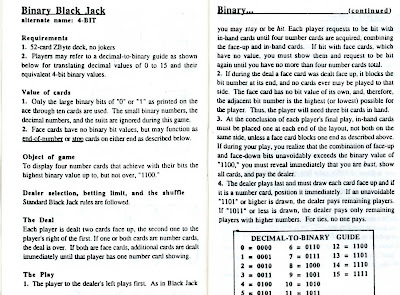 "I invented ZByte with the objective of motivating students in the critical subjects of computer math and logic with a game tool modelled after ordinary playing cards. As you know, all computers and internet search engines run on Boolean logic: AND, OR and NOT, or a combination of these." The cards are no longer made and so the set makes a nice collectable. 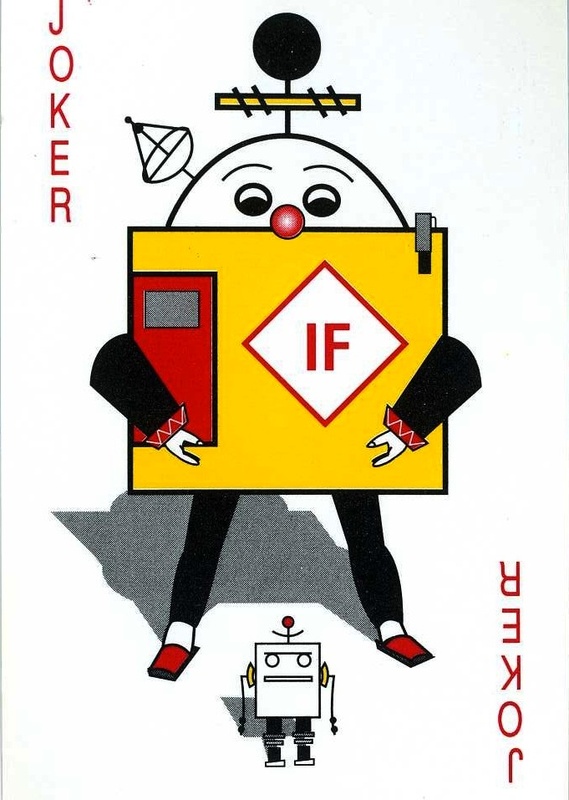 The ZByte playing cards have four suites based on the symbols used for binary logic: AND, OR, NOT and BYTE. 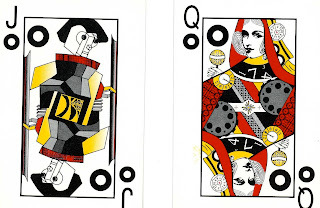 The 52-card deck of cards can also be used for all traditional card games, such as Solitaire, blackjack, gin rummy and Poker, as well as for new computer, logic-based or binary/decimal math games. 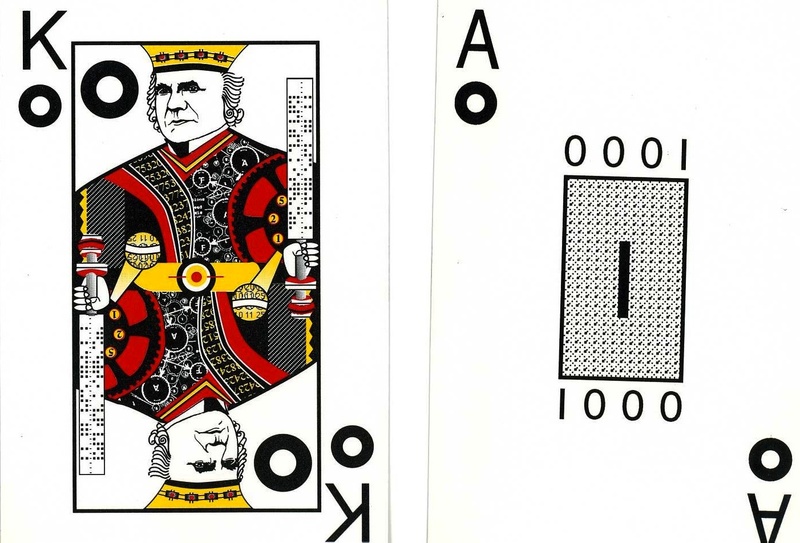 The court cards and jokers show drawings of famous persons in the history of computer science. The King of Bytes shows Charles Babbage. 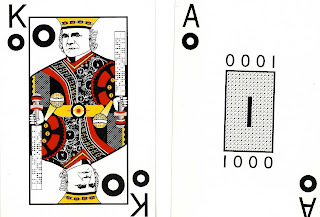 Other Kings in the deck are Boole, Leibniz and Blaise Pascal. The Queen of Bytes shows Ada Lovelace. The other three queens are: Maria Gaetana Agnesi, Sophie Germain and Mary Fairfax Somerville. The four Jacks show robots and androids. The two Jokers show the powerful IF operator. These allow branching play in games. 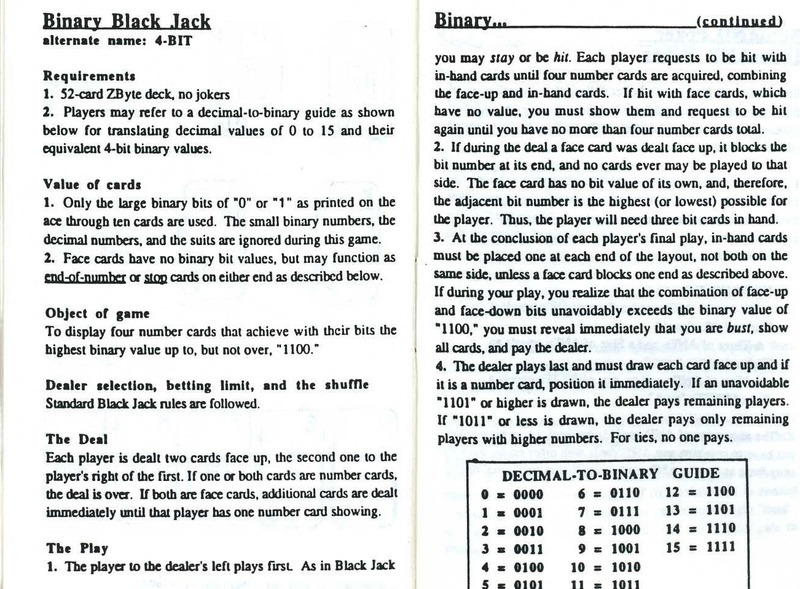 The instructions for binary blackjack.